I am thinking to learn some networking stuff using python. This tutorial will come handy as python has very good built-in support for both socket and various Internet protocols (perl uses 3rd party tools or cpan modules as compare to Python). Networking is an essential task in software applications nowadays. 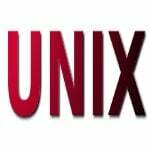 Many programming languages have support for network programming to various extents. While the core libraries of most languages allow low-level socket programming, other libraries and third-party extensions often facilitate higher-level Internet protocols. Python is a powerful and usable language for network programming; its standard library includes several modules for multiple Internet protocols. There’s also the powerful Twisted framework. How do you get started? When do you use the standard library and when do you go Twisted? Kendrew Lau demonstrates usable applications with both approaches to help you decide. 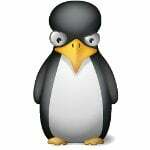 Previous post: Previous post: Confessions of a Real-World Linux Admin: "I Always Login As Root."